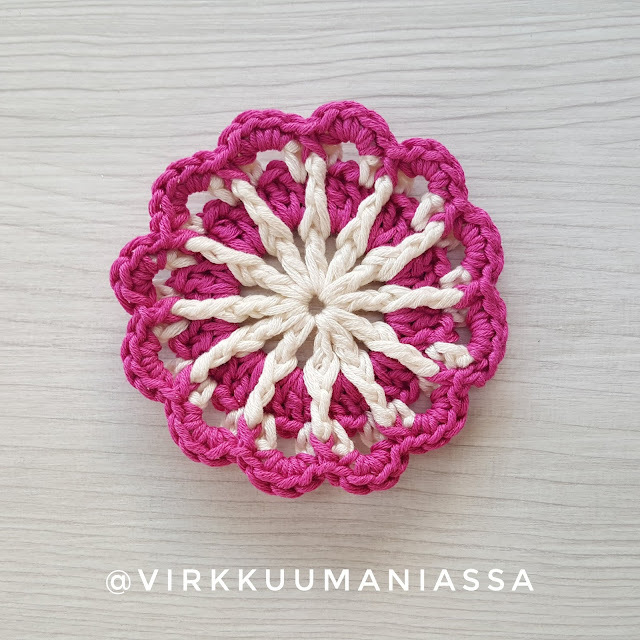 This was my second flower pattern for the #365daysofcrochetflower. 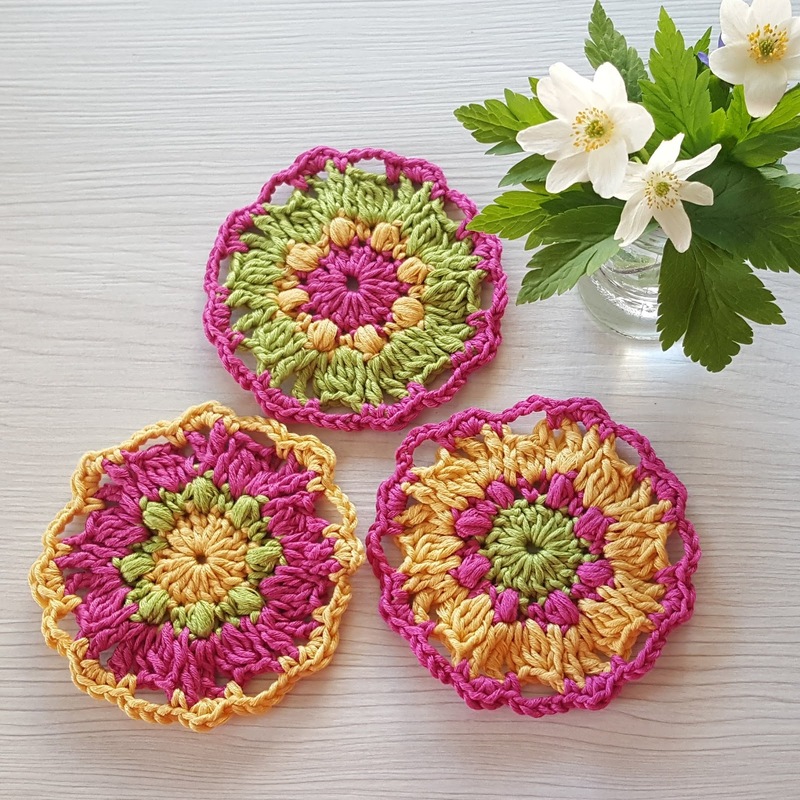 You can find my patterns also from Ravelry, from here. The pattern can be found in Finnish from my other blog. Click here if you prefer the pattern in Finnish. -dc3tog in the next sc, dc in the ch 1, ch 1, (tr, ch2, tr) in the top of the puff, ch 1, dc in the ch1 x 6, sl st to dc3tog. Fasten off. -In any ch1 sp before tr, make a standing sc, skip tr, 3 sc in the 2ch sp, skip tr, sc in the ch1 sp, 4 ch, skip three next st.
-Sc in the ch1, skip tr, 3 sc in the 2ch sp, skip tr, sc in the ch1 sp, 4 ch, skip 3 next st x 6, sl st to 1st sc. Fasten off. This was my first trip to Yarndale and it exceeded all my expectations and beyond. I described the trip afterwards to my friends as unbelievably awesome, incomprehensible staggering! I hope that at least some of my feelings as described above can be found below. I had been following this event from the social media for few years and I remember thinking that some day I will go there. 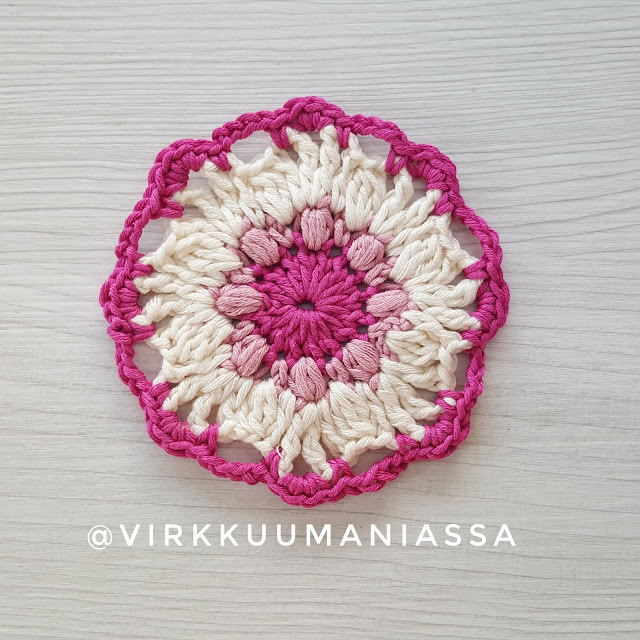 It was February when I decided that I think no more, I go! What a good decision that was! I asked my husband if he wants to go with me and he did. 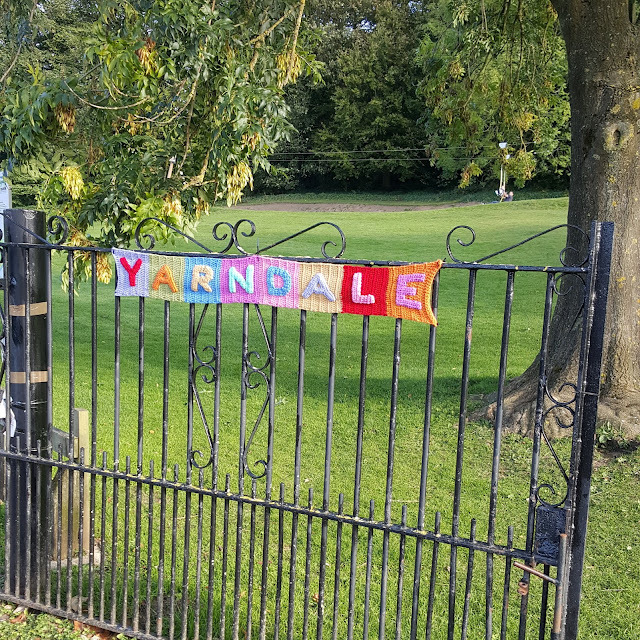 So we traveled together to Yarndale. I booked the accommodation in Skipton and flights to London already in March.